Hallmark Inn Begumpet offers spacious rooms for a homely stay away from home. Wake up to the peaceful and friendly ambience of your beautiful and spacious rooms. The walls are decorated with artistic paintings which add a glow to the decor of the room. 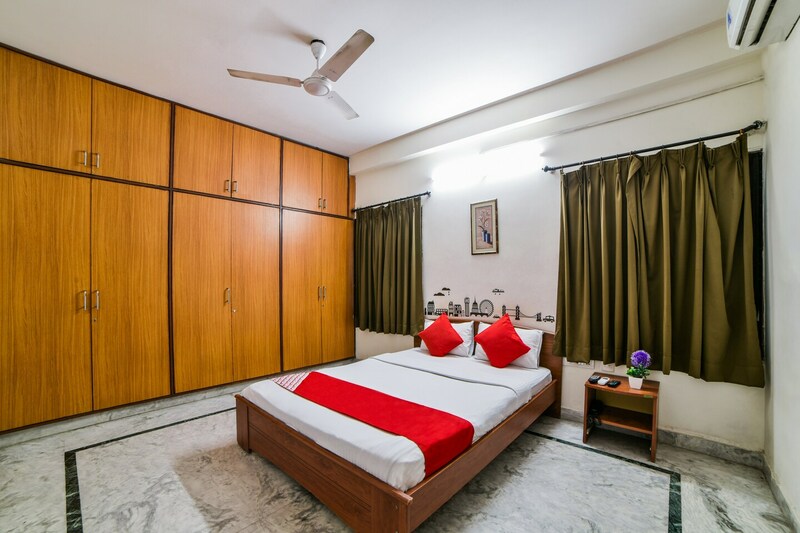 Provision of wooden furniture and various amenities ensure a convenient and comfortable stay. Presence of power backup and CCTV cameras ensure the security of your stay. Parking facility, elevator and laundry service is also offered by the hotel. Visitors can enjoy the free Wi-Fi service to stay connected with social media or to catch up with their pending work.